I have not recovered from Najib Azzam’s violent death in 1976 and never will. 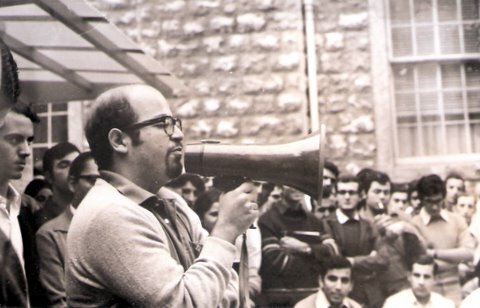 I first met him in 1969, when I was appointed to a part-time position as Lecturer in English Journalism at the American University of Beirut. He signed up to audit my course alongside such regular students as Leila Shahid and Hayat Mroue (eldest daughter of the late Kamel Mroue and the current Lady Palumbo) among others. I also acted as advisor to the 1970-1971 AUB Yearbook of which Najib was chief editor. From our meetings in class and our long hours at the Yearbook office, I realized that he not only had the nose for news, but also the eye to spot or capture “a picture worth a thousand words.” He also struck me as a tireless workhorse who is well versed in numbers and music. 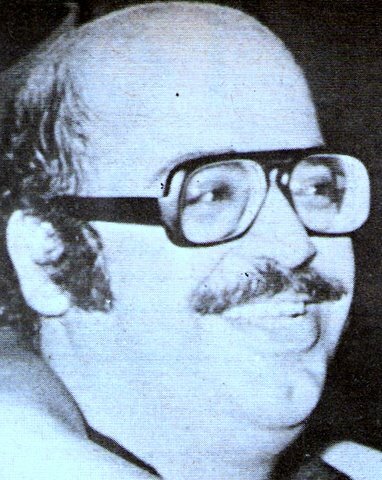 Najib was in the first group of people I enlisted for Monday Morning, the English-language weekly magazine I founded in Beirut and launched on June 19, 1972. His title by year’s end was “Advertising Manager.” Soon I had him listed on the magazine’s title page as “Office Manager.” That was because I could find no title to describe what he meant to the publication. He was Monday Morning in all its aspects: reporting, editorial, finance, organization, archives, and personnel… In effect, he was my second in command. On New Year’s Eve 1974-1975, property developer Sakr Fakhri, entrepreneur Hassan Zantout and I decided to jointly buy the lease of Tramps, a basement discothèque nightclub at the Continental Hotel building in Raouché. Najib became my nighttime point man there within weeks. In mid-January 1975, Monday Morning was planning a cover story on the efforts of Maronite Patriarch Antonios Boutros Khreish then to find a Christian-Christian common denominator on the eve of a Lebanese presidential visit to Syria. Najib looked in-house for color separation films of a photograph of Patriarch Khreish we had used before. He didn’t find them. He said we probably left them behind where we had them done -- at the art graphics, color separation photography and film- and plate-making workshop of Joseph D. Raidy in Gemmayze, East Beirut. Midday Friday, January 16, 1976, I phoned Joseph, who worked on the graphic art design of Monday Morning in its prelaunch stage before setting up his private enterprise. He confirmed the films were indeed at his workplace and that he could send them to the Museum Crossing where I can have someone pick them up. We set the rendezvous hour at 12:30 p.m. The fateful words have been resonating in my mind, in fact haunting me, for the past 34 years. Najib left the Monday Morning offices in Wardieh between 12:10 and 12:15p.m. He took his car—a navy blue Austin Mini GT1275, license plate 257867 – and drove towards the Museum Crossing. What happened to him and where it happened to him remains a mystery. Around 1 p.m. – over 45 minutes after he had left to keep his appointment – I received a phone call from the man who was waiting to hand him the color separation. He asked what was keeping our man. Since the distance between Monday Morning offices and the Museum Crossing could, in the sparse traffic that prevailed that Friday, be covered in no more than 10-15 minutes, I naturally suspected all was not well with Najib. By 2 p.m. I started contacting all the political parties, militias and organizations involved in the armed conflict, expecting to find that he was held by one of the kidnappers that were loose on the streets of Beirut. Everyone disclaimed all knowledge of Najib’s whereabouts and promised to search for him. Contacts with all the major hospitals in Beirut also drew a blank. By midnight, there was still no sign of him. A handful of staff joined me and refused to turn in. Early Saturday morning brought no news. Around 10 a.m. that day, however, I received a call from a friend who said he had read in the Arabic daily as-Safir a two-line news item to the effect the body of Najib Azzam had been found in Tayyouni. The journalist who reported the discovery was sought and found. He confirmed the report and stated the body had been taken to the morgue of a field hospital in the vicinity. I went there and made the final confirmation. I searched and found the man who had discovered him. He was an “armed element.” He stated that he had found the body about 1:00 p.m. on Friday, January 16, thrown in the street in Tayyouni, just off the Ain Remmaneh-Shiah front – a no man’s-land. There was no sign of his car, but his wallet was still on him, and no money or papers had been taken. The fighter contacted his superior, who arranged for the ambulance. Who stopped and summarily “executed” Najib and in what circumstances was never known. 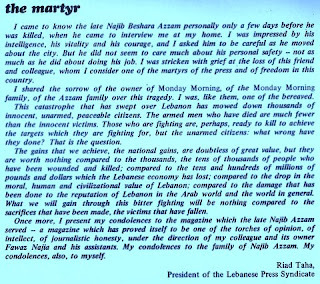 “I came to know the late Najib Beshara Azzam only a few days before he was killed, when he came to interview me at my home. I was impressed by his intelligence, his vitality and his courage, and I asked him to be careful as he moved about the city. But he did not seem to care much about his personal safety – not as much as he did about doing his job. I was stricken with grief at the loss of this friend and colleague, whom I consider one of the martyrs of the press and of freedom in this country. “I shared the sorrow of the owner of Monday Morning, of the Monday Morning family, of the Azzam family over this tragedy. I was, like them, one of the bereaved.